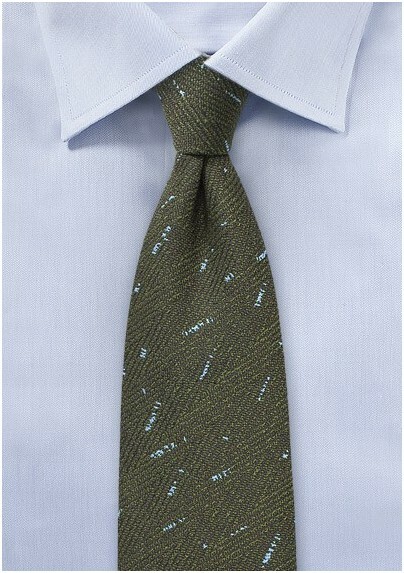 Looking for a unique winter tie that pairs well with your brown suits? 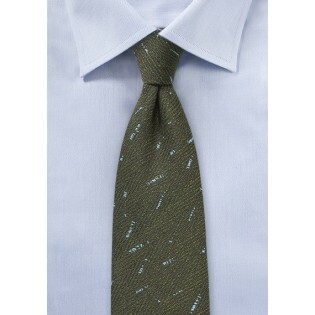 Then this olive green tweed weave tie would be a perfect pick. The herringbone pattern paired as well as the rich textured fabric add up to one stunning statement piece that will turn heads the moment you walk into work.